This challenge has been loosely organized by a website I like to visit regularly, called slowtwitch.com. This is a triathlon/Multisport news feed that covers all things triathlon from beginner to the elite. One of the more popular web destinations is the ‘Forums’ section of slowtwitch where readers log in to have conversations, fights and laughs over a range of topics in the ‘forums’ section w labeled discussions such as; Tri, Jobs, Women and Coaching to name a few. One of the more active members on this website created this winter challenge, to run 100times in 100days as a way to motivate athletes to keep active during these long, cold winter months. Basically, you have to run for at least 30 minutes with your feet leaving the ground. Otherwise it does not count. To earn a day or two off, you could double up runs but not by doing an hour straight, but completing two or three times 30 minutes, separated by at least an hour. There are some more variations on the rules, but that is all you really need to know. I chose to do this event after a devastating experience at the Xterra World Championships in Maui last October. About 36 hours before the event I found myself unable to eat, drink or really move! I had the chills despite sitting in that hot Hawaiian sun and all my training and sacrifice seemed to be wasted on a 3 day flu bug. Apparently, upon further inspection, quite a few athletes experienced this as well. 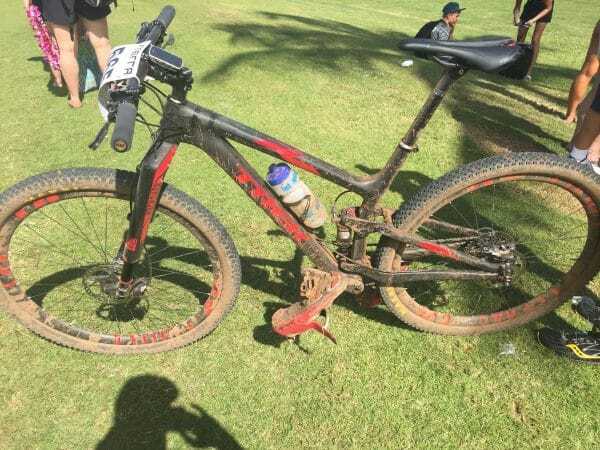 So, sadly, my Xterra was an even more pronounced day of suffering, as I slogged my way through, knowing that the finish would not represent the work that was put in. If you have not had a race like this, consider yourself lucky. 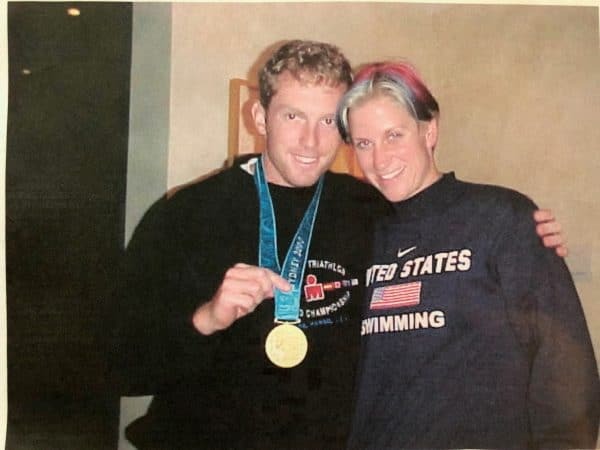 As a coach, I typically encourage my athletes to have another goal set, particularly after a major “season” goal, like an Xterra world championship. So, I found myself reaffirming my coaching, and aiding in my emotional recovery with this challenge. I have to be honest here, running has never been a passion of mine. Over the years I have run many marathons, some in training, like on a hot summer day before Lake Placid where my poor mom rode a mountain bike and supported me for what turned out to be about 28 miles at 6:30 pace. (I wish I had strava back then… damn). Additionally I have run marathons on the trail where I managed to take a win at the Stone Cat Trail marathon in Ipswich, MA and my PR marathon (road) in New Orleans of 2:48. And of course, there have been other marathons that happen while during an Ironman race. But generally, I don’t get super excited to head out the door and do a run! In fact, most of the past 5 years I have focused more on cycling and mountain biking with minimal running done, if at all. So, with that said, I signed myself up for the honor system event: 100 x 30min runs in 100days. Going into this, based on my background, I really didn’t think it would turn out to be as difficult as it did! I charged into the event, as evidenced by running two consecutive days prior to the official start…why? Bc that’s how I roll! That’s why. Plus the event was only a 30min run at a minimum. I figured I got this. As the first few weeks rolled by, I found myself adding in runs to earn rest days. Every Tuesday, I would meet a group of super fast runners at the Harvard indoor track for speed work. And on weekends, when we would go up north to ski country, I would be out running up and down super steep hills in the dark and freezing cold. All in an attempt to scratch that competitive itch from the Xterra disappointment and to prepare for revenge in this years racing. Specifically at Xterra events! The 100 runs is a test of endurance and schedule. It truly is a marathon and not a sprint. For the first third of the event, I felt like I really had timed it out well. The track speed was increasing. The repetition of putting those shoes on at least 6 if not 7 times a week became a ritual that helped organize my days and energy. I was really loving it. 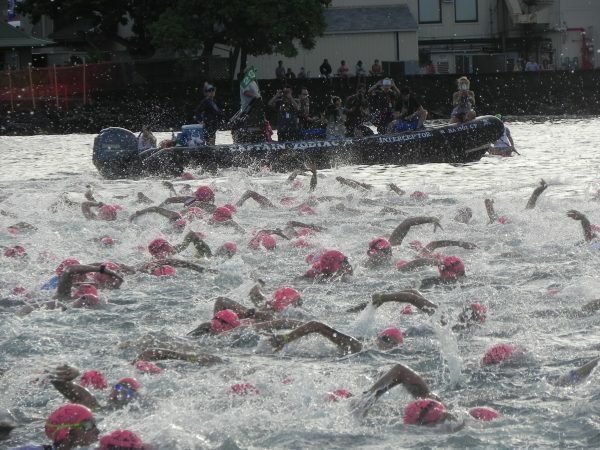 I think that is a huge reason big events like triathlons are so healthy for our society! These events really get people to change their little worlds and get them out of comfort zones! Through the middle part of the challenge, I found it more difficult to be consistent. There was some extensive travel and family obligations that made energy more and more challenging to find. While running in new and exciting places around the globe was super fun, I was beginning to feel slightly worn down. To be honest, I was getting frustrated that my weight didn’t seem to be dropping nor my average mile pace. As life settled a bit during the last third of this challenge, I found myself doing multiple runs in multiple days to earn days off in an effort to aid recovery. I got into the trails as much as possible and even new “softer” trail shoes. Fatigue had set in and I was looking forward to being done. In fact, looking at strava, I made several comments that for some reason, runs number 70 to 80 felt like forever! And once I got into the 80s, I felt like I was already done. My last run was completed in Minnesota while attending the Men’s NCAA Swimming and Diving Championships. Another cold and dreary day, I found myself in the last few seconds of this challenge on an old arch bridge going over the river near downtown. I think we all have moments that we don’t forget for one reason or another. Images that our brains can recreate instantly, including all those other sensations involved… and standing on that bridge 30min and 1 sec into that run, I stopped. I had done it. And when I say I didn’t think it would be a hard challenge, this event took everything I had. Since being done, I am satisfied. I actually did lose a few lbs and I am, and this is the oddest of truths, looking forward to getting back to the track and more importantly, getting off that bike in my next Xterra. I have never looked forward to a future run more than I do now.